There's a marked increase in the number of Canadians waiting longer than six months for knee and hip replacement surgery, according to a new report. More Canadians had surgery for hip and knee replacements last year than in 2015, but wait times for the procedure continue to grow in some provinces, a new report suggests. Thursday's analysis from the Canadian Institute for Health Information (CIHI) shows wait times are longer for both joint replacements and cataract surgeries. CIHI is a non-profit group with a mandate to collect and report on wait times and monitor provincial progress in meeting benchmarks — or targets — for medically acceptable waits. Across the country, 76 per cent of patients received a hip replacement in 2017 within the recommended six-month wait time, down from 81 per cent in 2015. For knee replacements, 69 per cent of patients had the procedure within the benchmark in 2017, compared to 82 per cent in 2015. It is a significant drop, said Jennifer Da Silva, manager of emerging issues at CIHI. "This is the first time that we're seeing these waits increase." Two factors drive wait times, Da Silva said: the need for surgeries, and the number of surgeries performed. More surgeries were done in 2017 than in 2015, but wait times still grew. Many of the procedures identified as having increased waiting times are done in people over the age of 65. And demographic shifts in Canada have led to an older population, with seniors accounting for an ever-increasing proportion of the population. That could be contributing to the clogged waiting lists, said Da Silva. As well, active people in younger age groups have an increasing need for joint replacement surgery because their repetitive athletic pursuits can put wear and tear on joints at an earlier stage. And new prostheses that are more suitable for young people mean that more of them are eligible for replacement surgery than ever before. 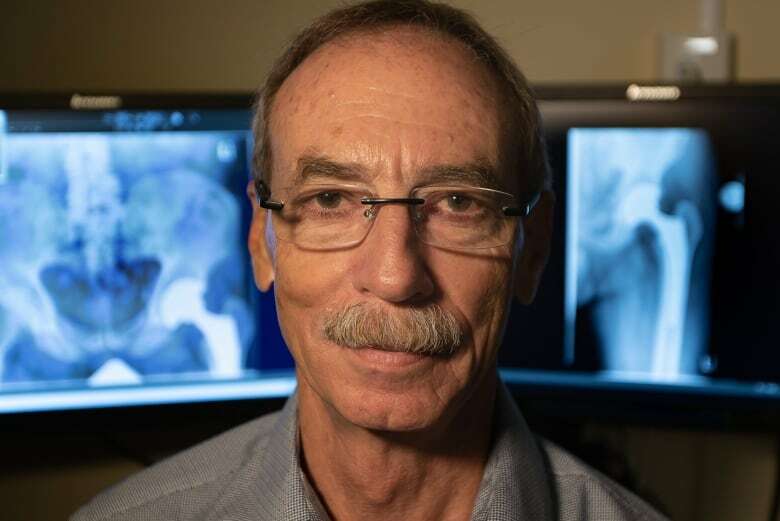 At Toronto's Sunnybrook Hospital, doctors are seeing that shift in the demography of patients, with more people aged 75 and older undergoing joint replacement as well as more people 55 and younger. "What we're seeing is that there are more people in that 75-plus age category that are active and fit," said Dr. Jeff Gollish, an orthopedic surgeon at Sunnybrook who performs hip and knee arthroplasty. "I think this is a great thing to see in society to see that people are staying fit and active into their later years, and those people benefit from joint replacement, they go through recovery well, and it allows them to enjoy their later years." Wear-and-tear arthritis, also called osteoarthritis, is a progressive disease, and there's no way to the stop the progression, Gollish said. 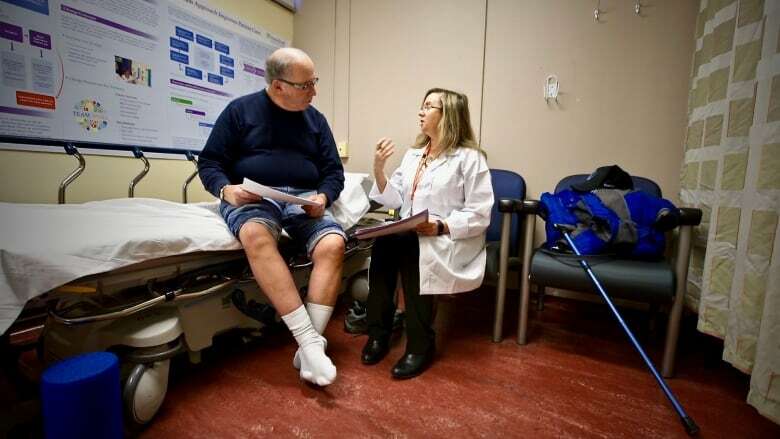 At the hospital's assessment clinic, patients with moderate-to-severe osteoarthritis are encouraged to maintain their function for as long as possible before surgery through individualized exercises and other treatments. ​Longer wait times were also reported for cataract surgery, with 71 per cent of Canadians receiving the procedure within the recommended wait time of 16 weeks in 2017, a decrease of five per cent since 2015. Wait times for more urgent procedures such as hip fracture repair and radiation therapy were steady last year compared with 2015. Timely hip fracture repairs are associated with a reduced death rate. The number of surgeons, inventive systems, and resources such as operating room time also affect the number of procedures performed, CIHI said. Wait times to see a specialist were not included. Territorial data was not available.